Want to know how to build trust with your readers – and get them to buy? If you want people to buy from you, they need to first know, like and trust you. 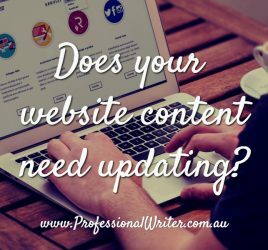 A good website will provide enough information for interested readers to get to know and like you, but influencing a reader to trust you is a much bigger step. In the past, you’d meet people face-to-face and have the opportunity to form a connection and build the “know, like and trust factor” through things like your conversation, body language, tone, rapport and your follow up afterwards. Now that so much business is done online, we need to establish that connection, build rapport and engage customers quickly – so it’s essential that you have the right type of content on our website. Even if they know and like you, most people won’t part with their hard-earned dollars until they trust you. This may seem counterintuitive, but the first and most important thing to understand is that the message needs to be about the reader, not about you. 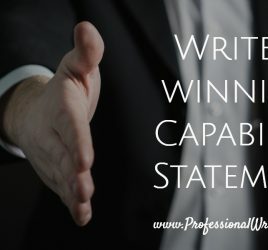 A lot of business owners are passionate about what they do and want to tell everyone how good they are at it, but unless you tell the story in a way which quickly and clearly illustrates, “What’s-In-It-For-Me?” to the reader, then you’re likely to lose them. You need to tell the reader what you can do for them or how your product or service will improve their lives before they care about who you are. 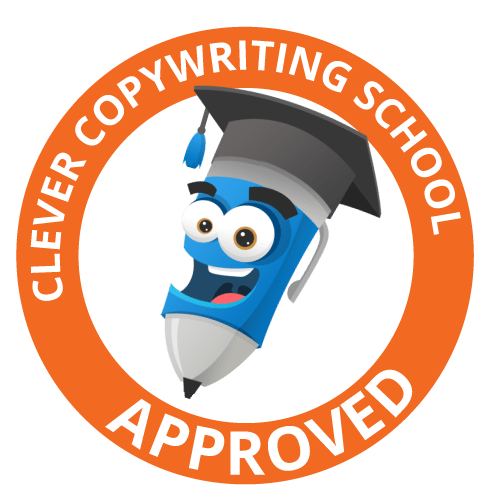 Of course, credentials are important, but in terms of capturing the reader’s attention, they are secondary to addressing the needs of the reader. So, exactly who is it you’re trying to attract? Who is your target audience? Do you have an ideal customer? It’s important to know who you are targeting with your message. You cannot possibly target everyone with one message. What’s important to one may not be relevant to another. Get clear on who your target audience is – and write the message as though you are speaking directly and personally to them. 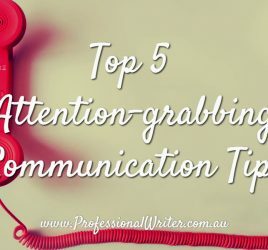 A good way to build rapport is to talk about an issue which causes your target reader pain or stress and let them know how you solve their problem. For example, if you’re a fashion company targeting the mature woman, their pain points might be that they want clothes which fit and flatter their body, which are comfortable. Find your readers’ pain point/s. What are some of the questions your customers ask you? Take these questions and expand upon them, providing comprehensive information about each answer, so that there are less questions in your reader’s mind. You can also build trust with your readers by clearly demonstrating your knowledge and experience – and then giving it away. One good way to do this is by offering a free eBook or short online course which contains helpful or useful information. If you’ve given your reader something of value for nothing up front, you establish a relationship and they get to know you and what you offer. They are then more likely to buy from you. A great way to demonstrate your skills and experience is to use case studies. Showing before and after photos if possible, mapping out the issue and how you solved it, to show that you can actually do what you say you can do. Use a testimonial from the previous customer if possible – this will reinforce your offering, especially if it’s a video testimonial or links to the person’s website. Use a photo or the company’s logo to reinforce the validity of the testimonial. Case studies show that you can be the solution to the reader’s problem. Make use of your site’s blog section (or get one added if you don’t already have one). Write and post regular content with a variety of topics to educate and engage your readers – and build authority. Not only will this information help the reader, it will also show how you can help solve their problem and that you can be trusted. Hopefully, the above information has provided some tips you can use to build trust with your readers. What do you already do to build trust on your website? Do you have any additional tips to add? Please leave your comments in the box below, thank you.